Reduce vandalism & theft of outside roof top commercial air conditioning compressor units with A/C Cage Guard. 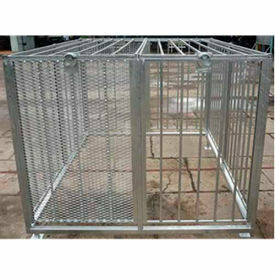 These durable cages are uniquely designed for quick and secure installations. Protects from thefts, vandalism, weather, & pets. Installation is quick and simple, assembles in 45 minutes with 3 people. 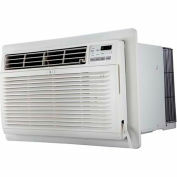 Easy access for A/C service technicians. 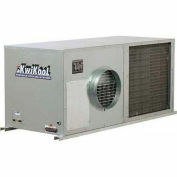 Patented cage design -- the top panel secures all side panels and allows for quick access and installation. 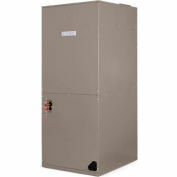 Anti-separator bars prevent unlawful access, and locks with a vandal proof puck lock (Master Lock 6270). Puck Lock recessed hinge prevents and deters theft. Each cage has bolt down base plates for surface mounting. 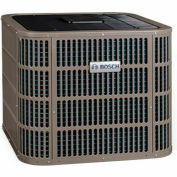 Includes Leveling Legs & Cage Security Bar for optional bolting directly to A/C unit base. Finish: Galvanized. Large inventory ready for quick delivery. Fast customization available. 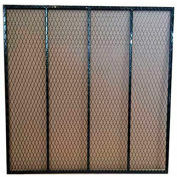 DESCRIPTIONRoof Top Expanded Metal AC Cage 8' X 12' X 65"